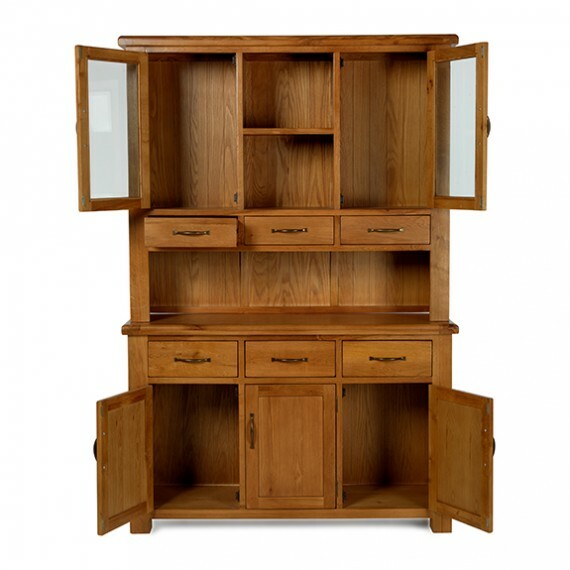 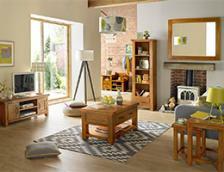 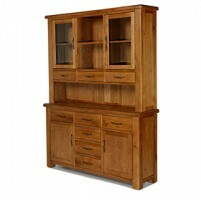 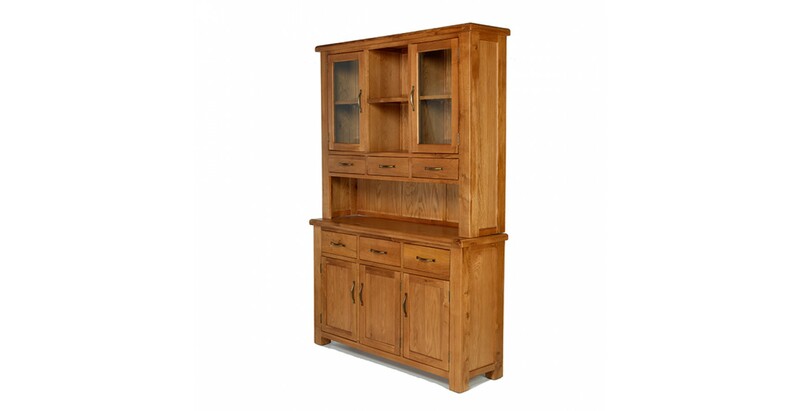 For creating an authentic country-kitchen theme, you've got to have a traditional dresser. 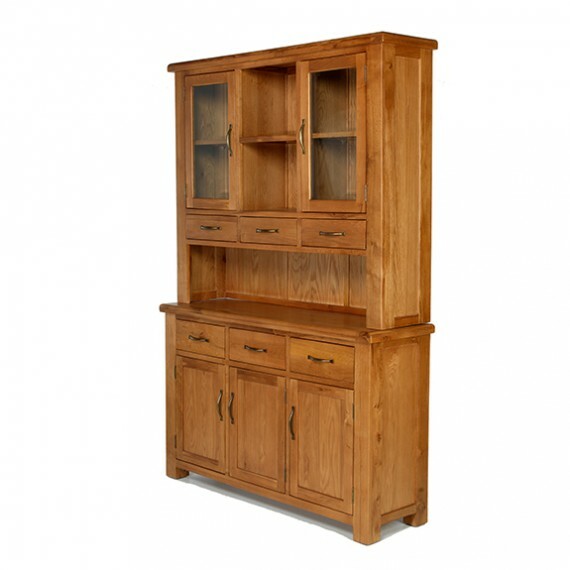 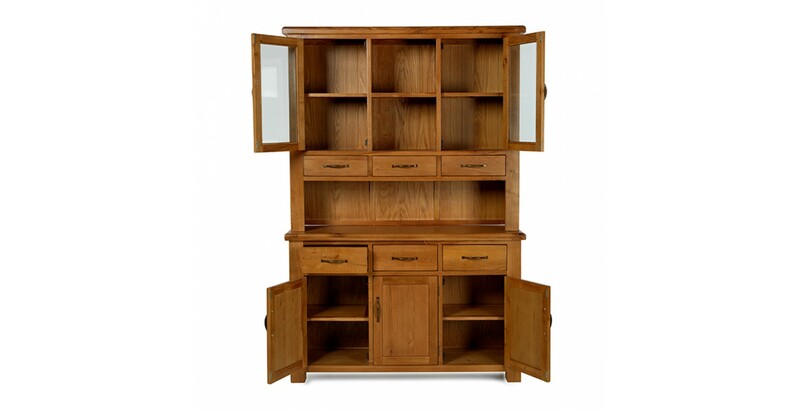 This beautiful dresser gives you plenty of rustic warmth and deliciously rich grain patterns courtesy of its Wax Lacquer Finish, but also boasts clean, crisp lines to suit more modern tastes. 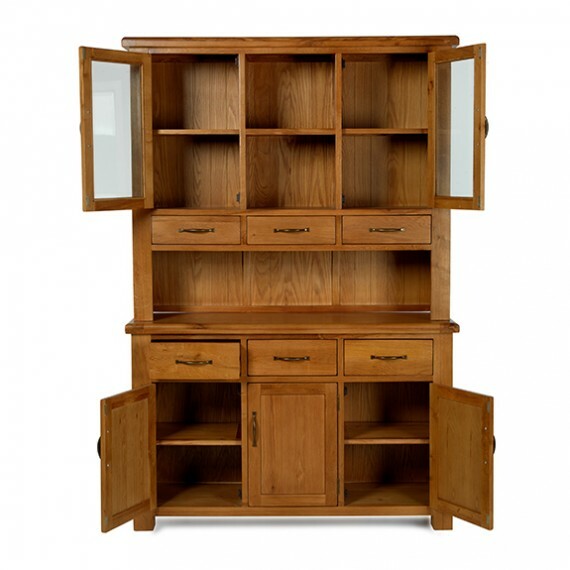 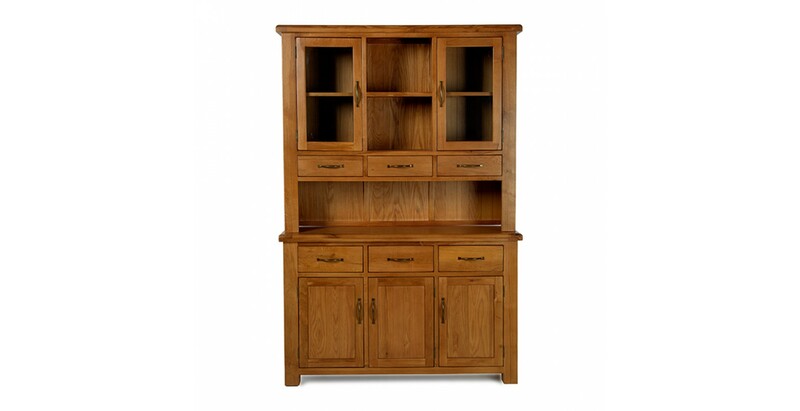 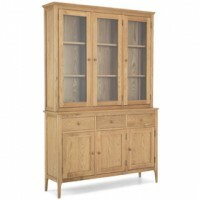 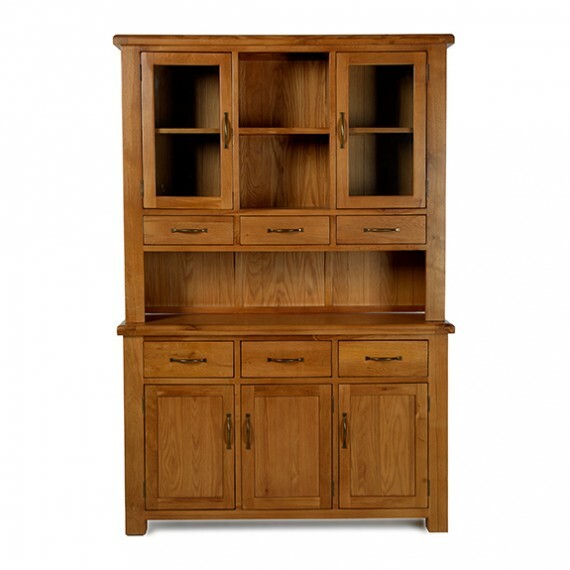 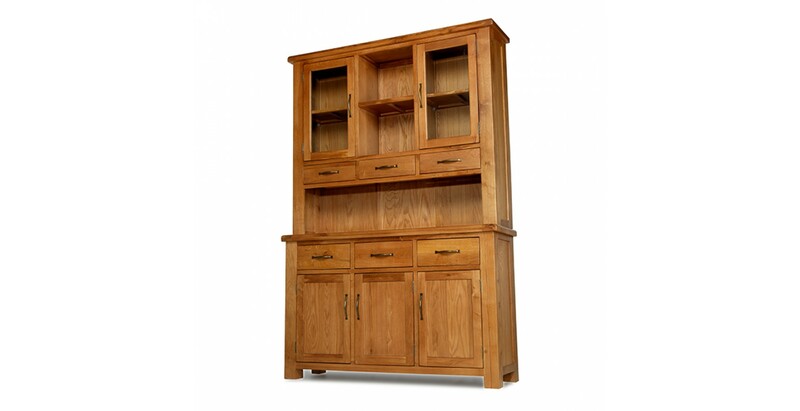 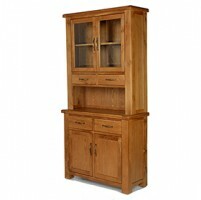 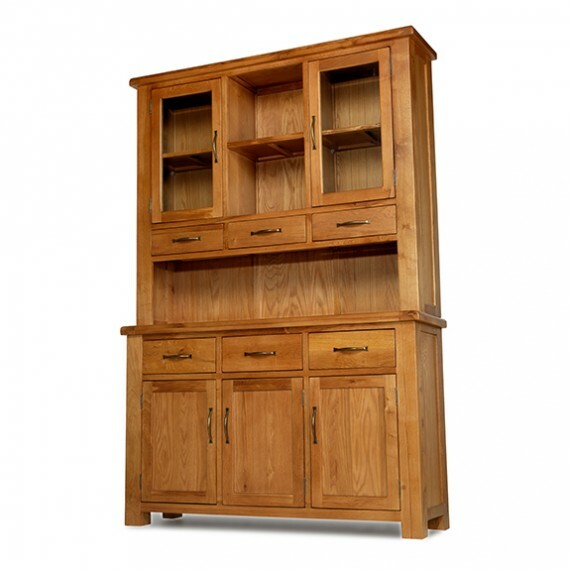 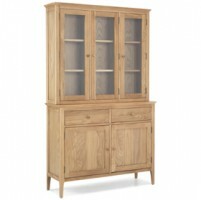 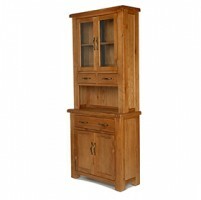 Crafted from oak, it has ample drawer, cupboard and shelf space to keep all your cutlery, utensils, cookbooks and tableware organised and characterful touches like the chunky surface with rounded corners, vintage-style brass-coloured handles and subtle peg detailing give it extra-special visual appeal.